Panasonic has announced that its latest advert for its Viera 3D TVs will get an airing tonight (24 September), showcasing the why consumers need 3D in their homes now. The advert is the first of what Panasonic is calling its 'biggest-ever' pre-Christmas campaign and it is getting a prime-time slot – on ITV1 at 19.45 during Coronation Street. 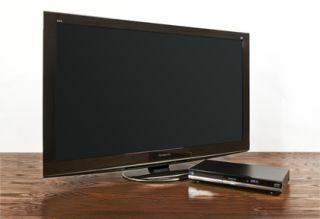 Panasonic recently launched its new Viera VT20 3D Plasma TVs with 42- and 46-inch screen sizes, as well as its 42-inch GT20 3D Plasma TV. It will be hoping that the new advert will entice more punters to 3D in the home. Panasonic also has the DMP-BDT300 Full HD 3D Blu-ray player in the shops which makes up its 3D ecosystem.